The KNRLS Catalog contains the records of almost every item owned by the public libraries in Kemper and Newton Counties. 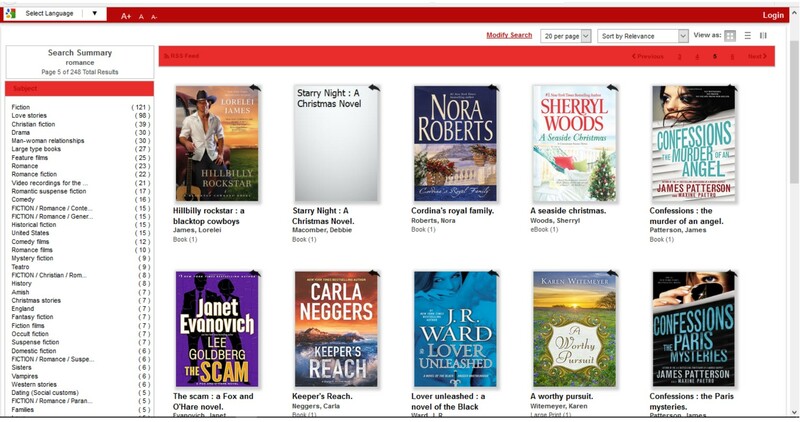 When you click the red button above, you’ll be taken to our catalog where you can search for what you’re looking for by subject, keyword, title, author’s name, ISBN, and more! You can also browse the collection (this is the fun part!) by typing words like “dvd” or “fiction” or “mystery” in the search box. Options for narrowing your browsing are listed to the left side of the page. The search shown below was for “romance,” but you could narrow it down further by clicking on “Christian fiction” or “Vampires,” for instance. Screenshot of library catalog search for browsing. To place an item on hold so you can just stop in and pick it up at the library location most convenient to you or to see and renew the items you have checked out already, you can log in via the upper right corner of the catalog screen, too. Click the red button below for complete instructions on how to use this convenient new feature.